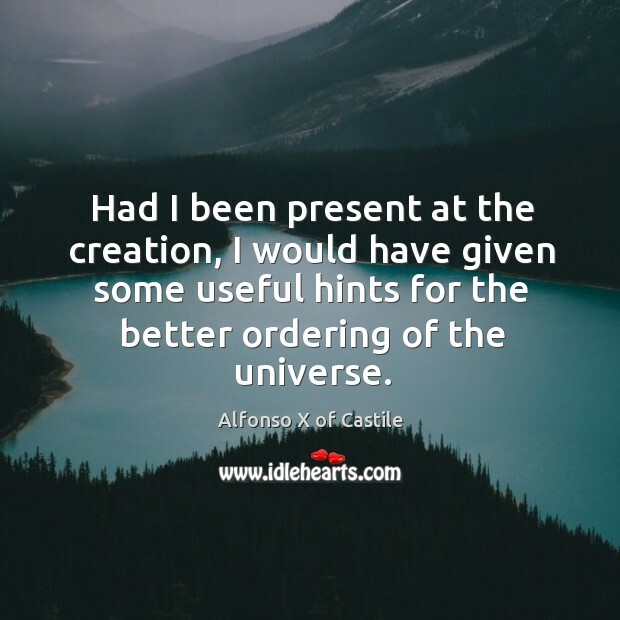 Enjoy the best inspirational, motivational, positive, funny and famous quotes by Alfonso X of Castile. Use words and picture quotations to push forward and inspire you keep going in life! 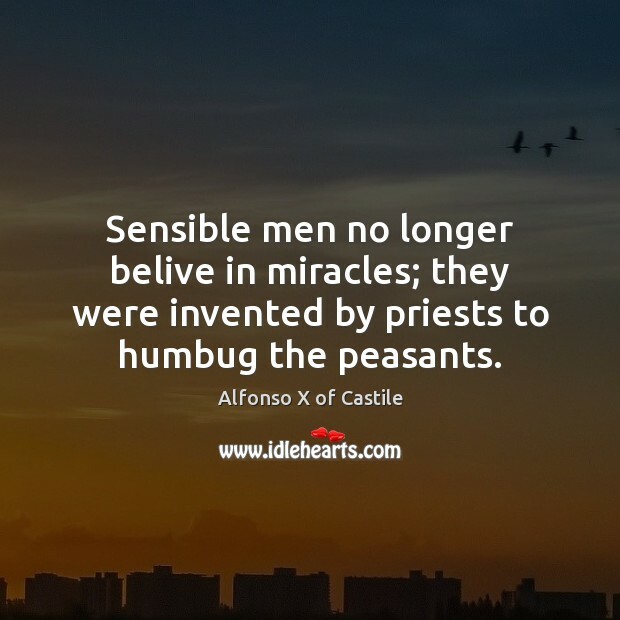 Sensible men no longer belive in miracles; they were invented by priests to humbug the peasants. If the Lord Almighty had consulted me before embarking upon his creation, I should have recommended something simpler. Remarking on the complexity of Ptolemaic model of the universe after it was explained to him. 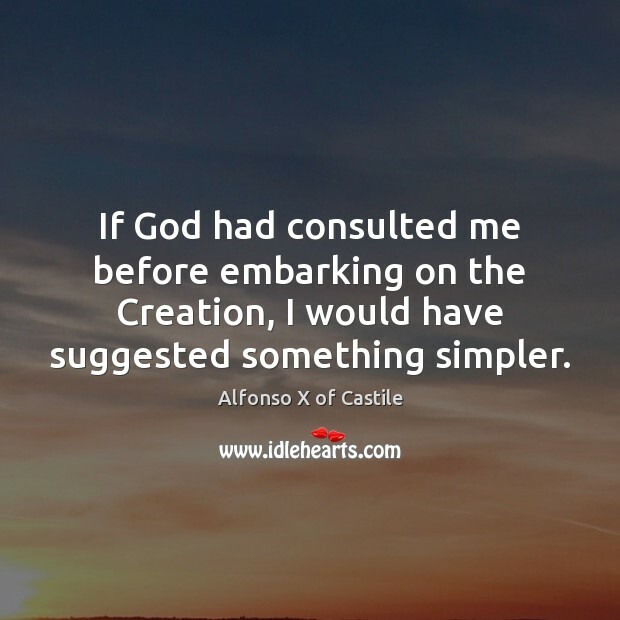 If God had consulted me before embarking on the Creation, I would have suggested something simpler. Had I been present at the Creation, I would have given some useful hints for the better ordering of the universe. 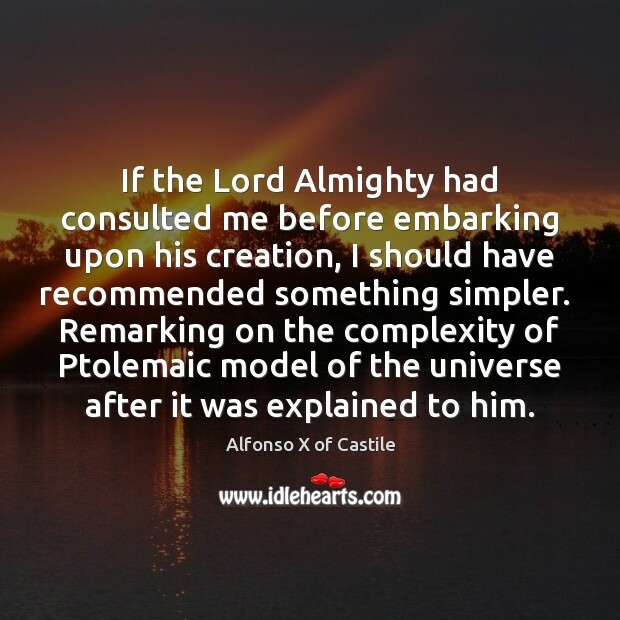 Remarking on the complexity of Ptolemaic model of the universe after it was explained to him. Footnote: Carlyle says, in his History of Frederick the Great, book ii. chap. vii. 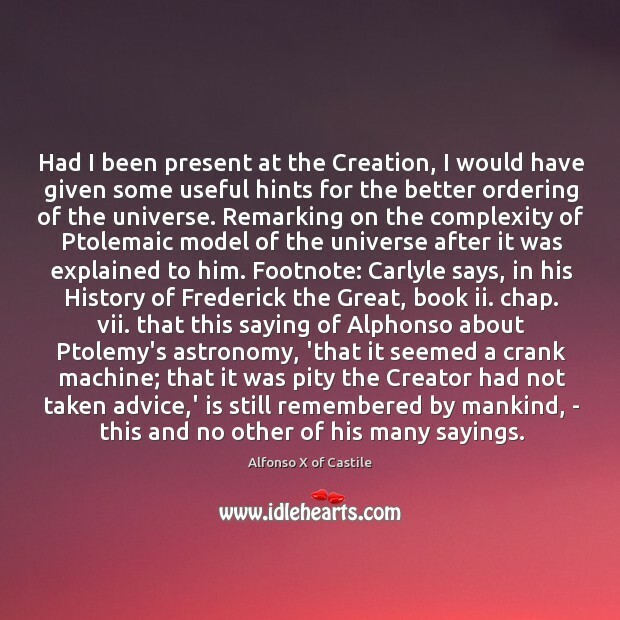 that this saying of Alphonso about Ptolemy's astronomy, 'that it seemed a crank machine; that it was pity the Creator had not taken advice,' is still remembered by mankind, - this and no other of his many sayings.